Raymond van Barneveld's hopes of taking his Premier League survival bid to Elimination Night faltered in front of his countrymen as he was beaten 7-1 by Daryl Gurney to crash out of the Premier League in Rotterdam. Despite an emotional welcome to the stage, in front of a sea of orange, Barney saw his hopes of a great escape falter at the hands of Superchin, who showed no mercy despite sharing a 'Sweet Caroline' sing-a-long with the five-time world champion. 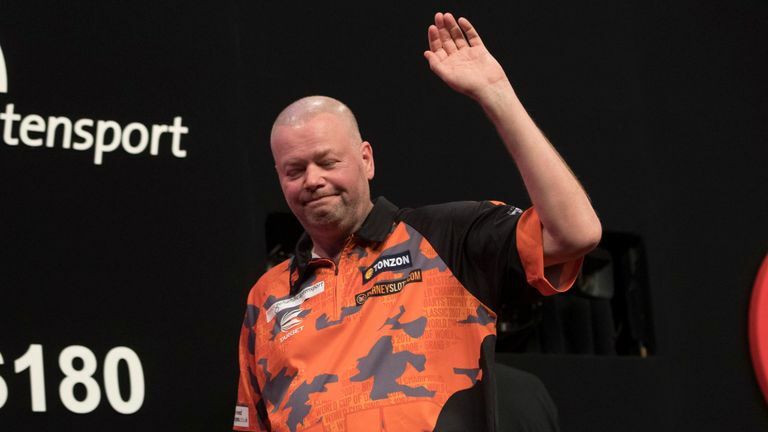 Van Barneveld, who has already admitted this year's World Championship will be his last and who faces an uphill battle to make it into some of the year's major TV tournaments, faces Michael van Gerwen on Thursday night in what promises to be a celebration, despite his early exit. Van Gerwen was among the winners on Wednesday night, making amends for a defeat to Peter Wright in Rotterdam last year with a 7-1 victory that took him top of the table. Rob Cross threw away a 5-1 lead to remarkably lose 7-5 to Mensur Suljovic, Michael Smith was also victorious against Gerwyn Price, and James Wade denied Dimitri Van den Bergh the first victory by a contender in this year's tournament.